Here are some new cotton dishcloths I recently crocheted. 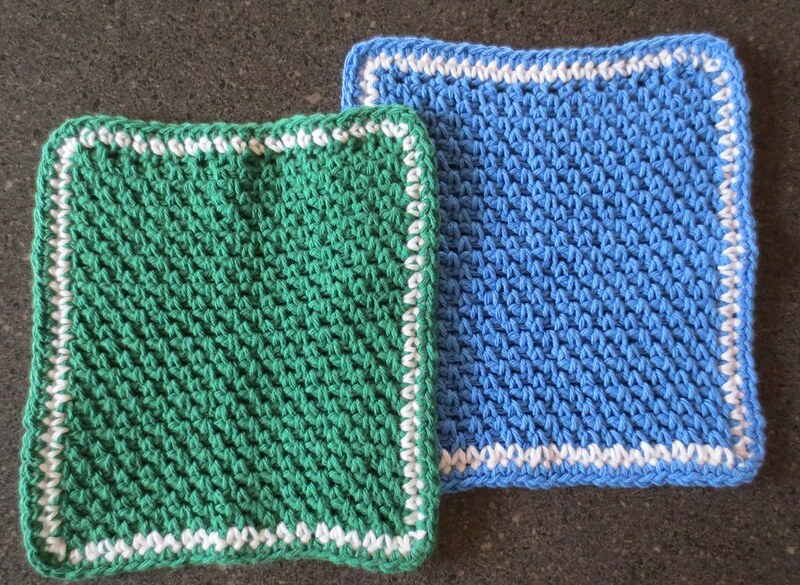 I wanted to try a new stitch and crocheted these dishcloths using the linen stitch. The linen stitch creates a nice thick woven-look cloth. The easy peasy crochet pattern for my linen dishcloths were crocheted using these linen stitch details. 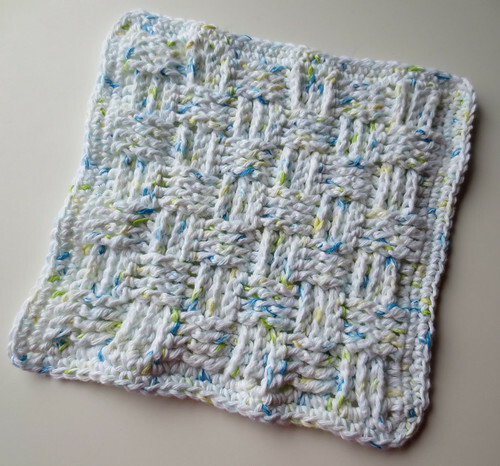 Crocheting in a basket weave design creates a nice texture and makes for a pretty dishcloth. I tried my hand crocheting in basket weave to create these dishcloths. My friend Kristy helped me with her pattern for this basket weave design cloth. On the first one I crocheted, I did 4 rows in front post and back post sets. 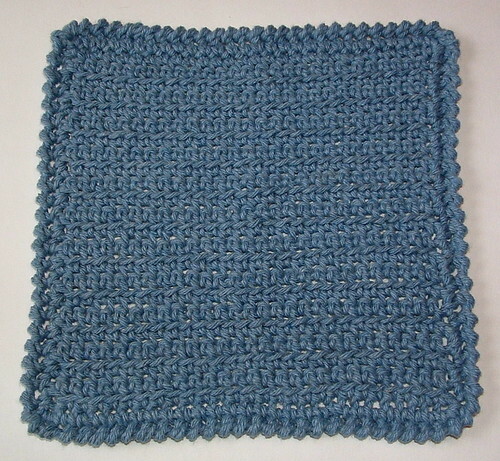 Here is another crocheted dishcloth that I did following Kristy’s 3 row set pattern. 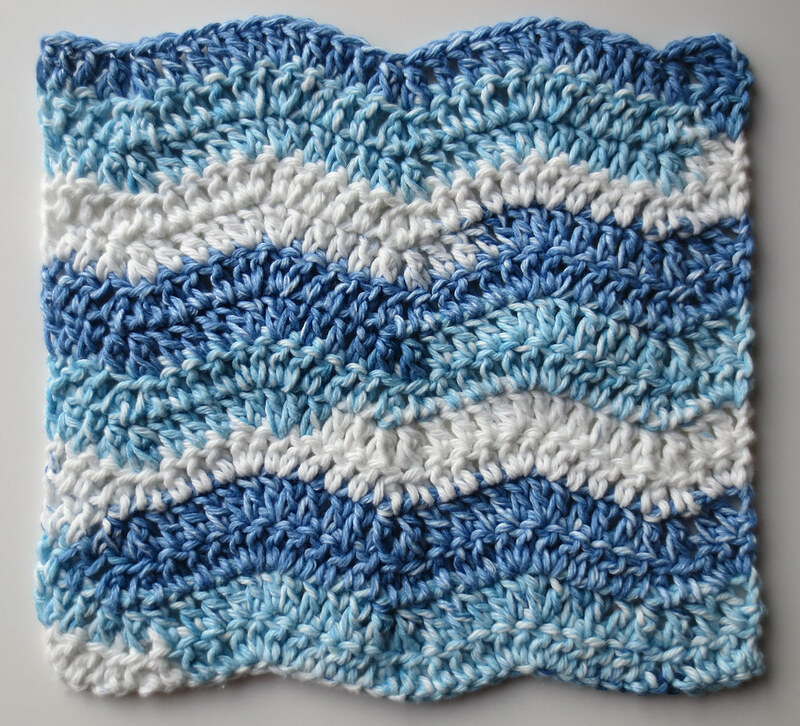 Here is my free crochet pattern for a wavy ripple dishcloth. I first used this wavy ripple style to crochet a lapghan and just love the look of the stitch pattern. So after some trial and errors, I came up with a dishcloth using blue tie-dye cotton Sugar ‘n Cream yarn. 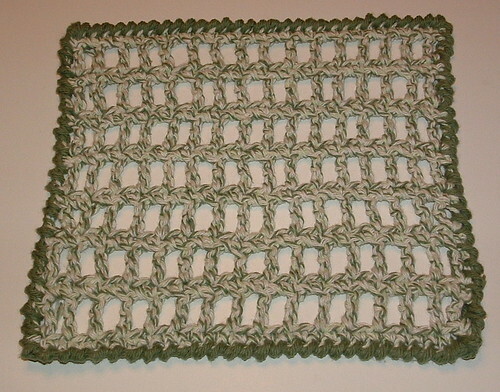 Here is another dishcloth I crocheted using the wavy ripple pattern. I ran out of the pink twist cotton yarn so I only crocheted 13 rows. I added a white edging around the entire dishcloth by working single crochet stitches around evenly. I worked 2 single crochet stitches in the corners. 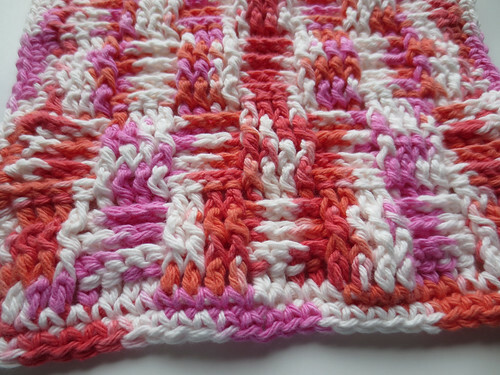 This trim edging gives the dishcloth a little different look and may be useful it you are trying to use up scrap pieces of cotton. 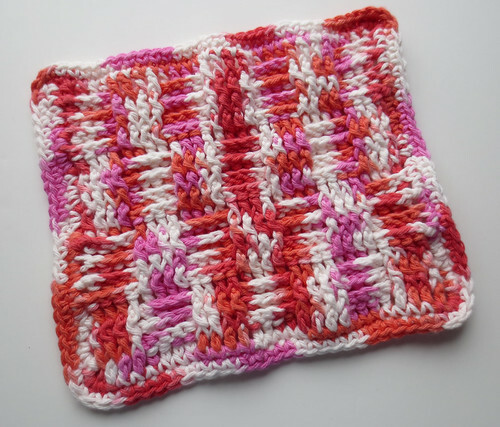 My crochet pattern may be used to make a wavy ripple dishcloth or washcloth. Mix and match colors to create your own unique crocheted cloths. I have been crocheting many washcloths and facecloths lately. 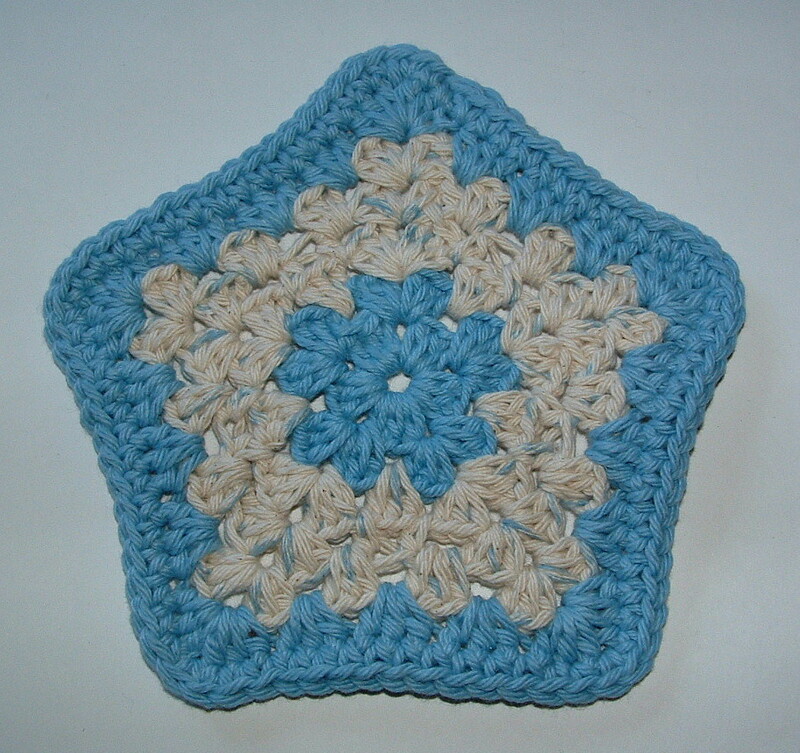 I want to share this quick little crochet pattern for a star shaped facecloth. It’s a variation of my star dishcloth pattern but smaller. I love these smaller cloths as they make wonderful facecloths. Not too big and they work up so quickly. Also they are great for using those scrap pieces of cotton that you have leftover in your stash. Each cloth measures about 7 inches from the top corner to the lower corner. I believe you only need a little over an ounce of cotton to do each facecloth. Have fun and mix and match the colors to create your own facecloths. As always, happy crocheting and I hope you enjoy the free pattern below. 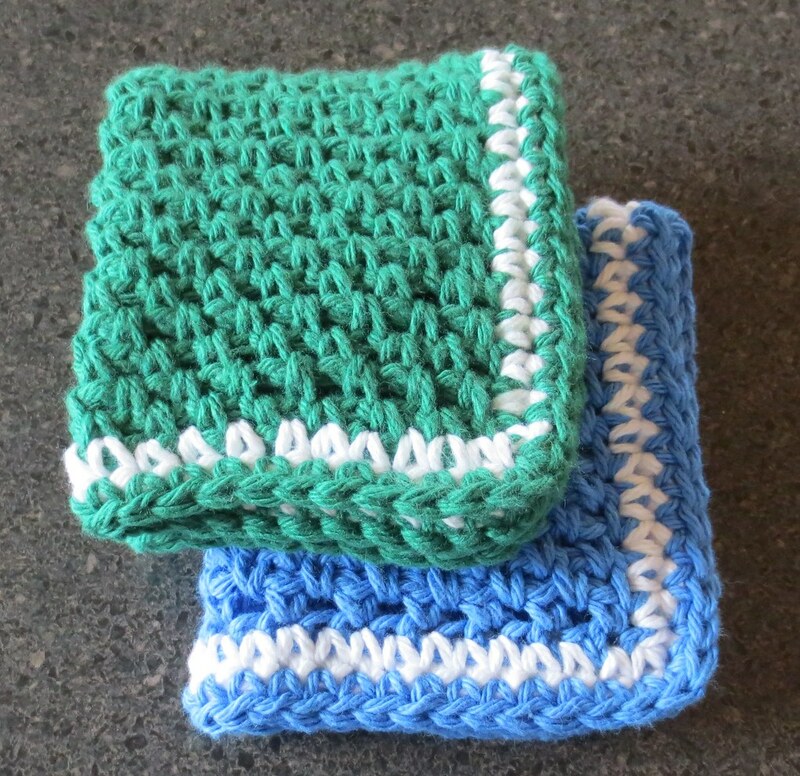 Here is my latest free crochet washcloth or dishcloth pattern. 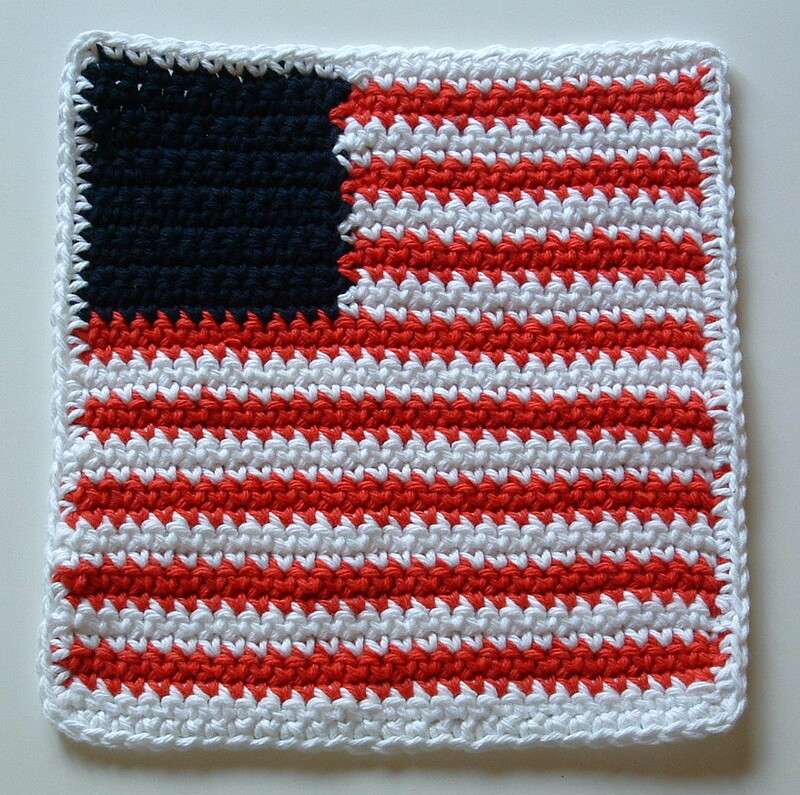 This cloth represents a flag and I was inspired by the flag afghan square that was featured over at Crochet ‘N’ More. I have been making facecloths for charity and thought this would make a wonderful cloth with its patriotic theme. Here is my simple but useful corded cloth pattern that is crocheted in cotton yarn. This cloth makes an excellent washcloth or dishcloth. I added the reverse single crochet stitch border and thus the name Corded Cloth was given to this project. Here is a solid colored cloth in denim cotton. I have been crocheting several washcloths for the project that I joined over at Ravelry for our troops. The website is Warmth for Warriors and we are doing washcloths right now for the troops if you’d like to join in here. 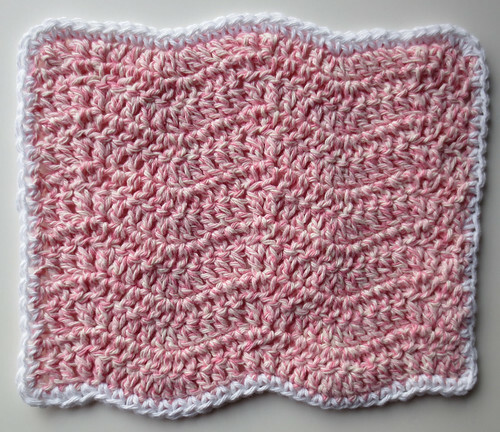 Here is the free crochet pattern below for the washcloth or dishcloth. Enjoy! Here is my latest open-stitched crocheted dishcloth pattern for those that like that style of a cloth. It reminds me of a picket fence and thus the name was given to this pattern. I added a crab stitch or reverse single crochet trim to finish off the dishcloth. I hope you enjoy the free crochet pattern and happy crocheting to all! I’ve been on a bit of a dishcloth crocheting craze lately. Here is my latest creation. 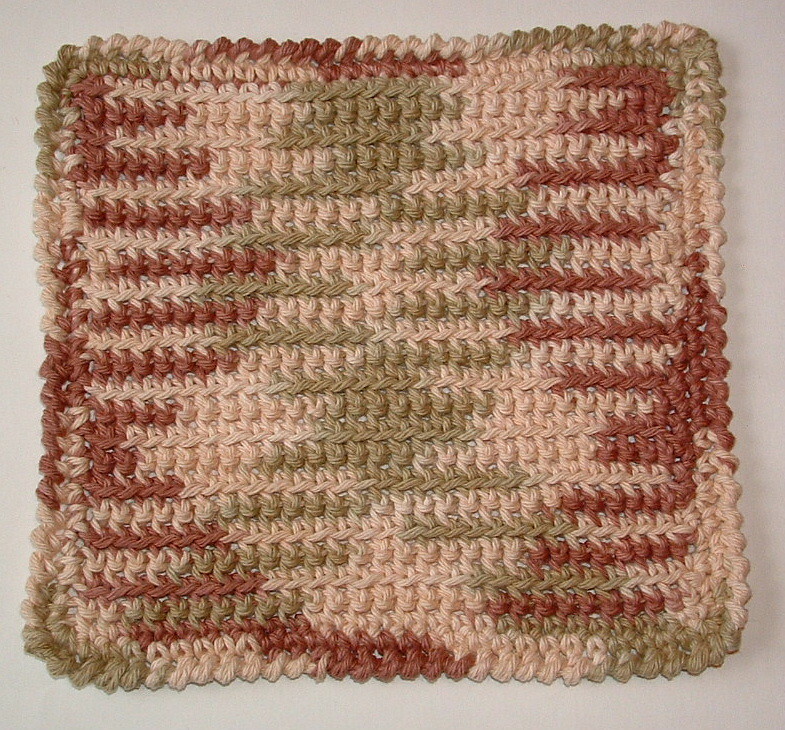 Its a crocheted cotton dishcloth or washcloth. I call it my pointed granny dishcloth. My pointed granny dishcloth can be made with scrap cotton yarn as shown above in the second photo. It’s a great way to use up those small pieces of cotton you have in your stash. My pointed granny pattern is similar to my star dishcloth design below that features a center scrubbie option using plarn (plastic bag yarn) with 5 points. 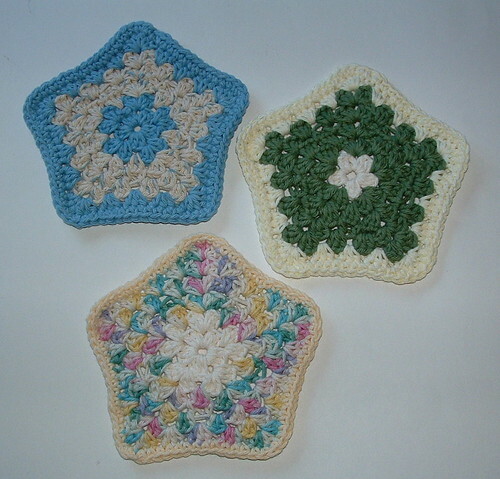 So grab your crochet hook and crochet yourself a 4 point or 5 point star granny dishcloth using one of the free patterns. Either way, I hope you enjoy my dishcloth designs.